Dogs can get all kinds of different allergies. It might sound strange, but they can get runny eyes and sneezing fits, just like people do. Canine allergies can also be characterized by a range of other symptoms, including scabs or other skin complaints, itchy ears, increased scratching, vomiting…Some allergies can be serious, and even minor ones cause a good deal of discomfort. 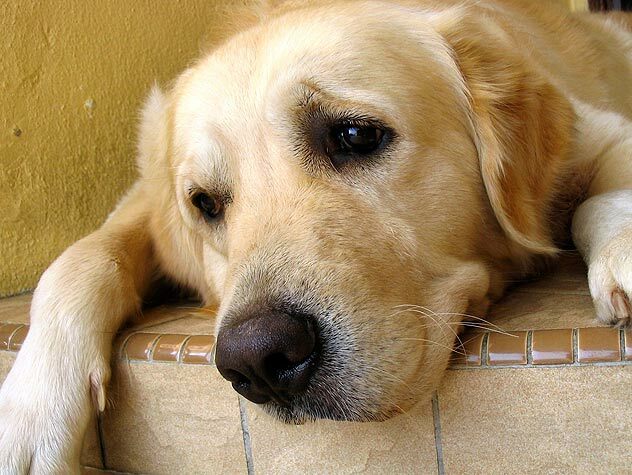 There are a number of veterinary treatments that may be prescribed for dog allergies. Atopy or (inhalant allergy) is by far the most common cause of allergies in dogs. Many of these pets suffer from intense itching and usually have a seasonal pattern initially, but it may turn into a year-round problem. Other animals may show only mild signs, and treatments for dry skin, skin infections, or fleas may solve most of the problem. The best way to rid your dog of allergies is prevention. If your pup’s vet can figure out what she’s allergic to, then it’s a simple matter of removing the allergen. For instance, if she’s allergic to a certain type of food, all you’ll have to do is stop feeding it to her. That said some allergens, such as pollen, are harder to keep out of your dog’s life. Topical solutions containing hydrocortisone offer some relief. They are the most practical in treating localized itching. Creams or salves are often used on the feet and between the toes and sprays are used on the abdomen or other areas with less hair. These products are very poorly absorbed into the bloodstream, and when used in moderation, do not create long-term side effects or problems associated with injectable or oral steroids. In addition, cooling salves and lotions may also be used. Some dogs respond well to Omega-3 fatty acids as a treatment for allergies. This might sound unusual, but they’ve been found to reduce the effects of chemicals, such as histamines, that a dog’s body releases in response to allergies. Make sure that you consult your veterinarian before using Omega-3s to treat allergies, as they will be able to recommend a suitable therapeutic dose. For a severe allergy, steroids can reduce inflammation and offer relief from the symptoms. It’s important to note that these are corticosteroids, which are which different from the anabolic steroids that can be used as illegal performance enhancers; don’t expects your dog to get ripped! While effective, steroids are strong and, like cortisone, come with a laundry list of unwanted side-effects. As such, they’re only used in serious cases and should only be prescribed on a short-term basis.